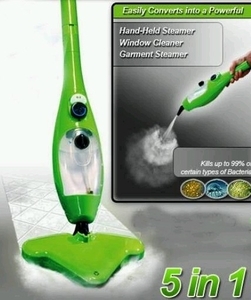 This versatile 5-in-1 Steam Mop Cleaner will help you clean & sanitize your home in no time. Act fast to save big money with our new discounted price! Learn all about the power of this Steam cleaner that can be used as a full size steam mop or converts into multipurpose handheld cleaning wonder. 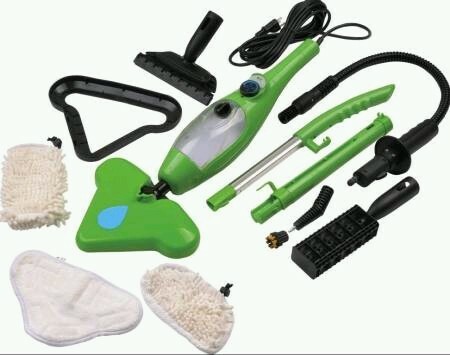 With an assortment of attachments that transform the into a fantastic steam cleaner for our floors, carpets, sink and even a steamer tool for your wrinkled shirt or blouse. Get this as seen on tv wonder cleaner now. Best of all it uses only water and doesn't require any harsh harmful detergent chemicals. Act now to enjoy our 6 months warranty (conditions apply) and harness this cleaning power of H20 steam with this versatile 5 in 1 steam mop/cleaner.